Beelman Dental is pleased to provide the Bedford community with Invisalign® treatment. This modern method of straightening teeth has already helped more than five million people feel better about their smiles – could you be next? If you’re one of many who hesitates before smiling due to misaligned teeth, Dr. Beelman would be happy to introduce you to the Invisalign system. You may have seen the commercials—but if you haven’t, we’ll fill you in! Invisalign is a safe, easy, and relatively fast way to straighten teeth that is less visually obvious than traditional metal braces. Average Invisalign treatment time is about twelve months, which is often half of the time it takes for metal braces to do their work. During your Invisalign consultation with Dr. Beelman, he’ll take quick digital x-rays for precise images of your teeth. These images allow him to map out a treatment plan that illustrates exactly how your teeth will move—including a timeline so you’ll not only know what to expect, but when to expect it. You’ll even be able to see a preview of your future smile! Once you receive your custom clear aligners, you’ll wear them about 22 hours a day. You’ll swap out your aligners either every week or every other week depending on your individualized treatment plan. Successful results rely on removing your aligners only to brush, floss, and eat – but the great news is that you can eat all the foods you love! Aligners are strong, but flexible and comfortable – you might forget you’re wearing them! Once you’ve completed Invisalign treatment, you may need to celebrate your beautiful new smile by wearing a retainer, which prevents your teeth from moving back to their previous position. Dr. Beelman can help recommend a retainer that will work well for you. 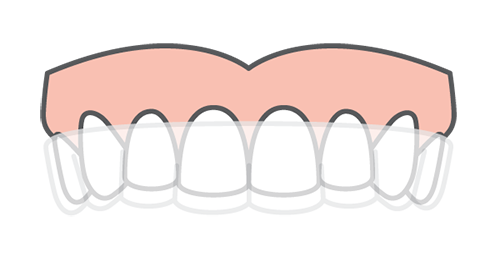 Ready to Talk Straighter Teeth? If you have any questions about Invisalign or would like to schedule an appointment with your Bedford Invisalign dentist, Dr. Ryan Beelman at Beelman Dental, give us a call today at (817) 409-3830 or request an appointment online below. We’ll take the time to make you smile!